This year, 21 new designers and never seen before collections will be showcased on the FWSD La Jolla Runway. – 10/4 6pm: VIP reception and Fashion Film Screening of Red Pearl at The LOT in La Jolla. – 10/5th, 6pm: Signature kick off event, “The Art and Beauty Behind Fashion” night at the Andaz Hotel. Featuring several artists and hair & makeup are the main attraction on the runway. This night is all about being visually stimulating. – 10/6 6pm: First night of Designer Runway Shows at the Broadway Pier in Downtown San Diego. You will see 10 out of the 21 designers. Following the runway show pass holder after party at Florent (5th avenue) with more fashions, entertainment and the VIP treatment for our pass holders. 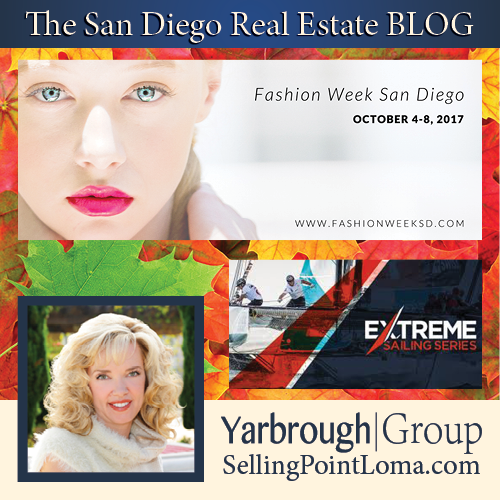 – 10/7th, 6pm: Final night of Designer Runway Shows at the Broadway Pier in Downtown San Diego. You will see the remaining 11 designers. Afterparty in the main venue with DJ & Dancing. 10/8 10am – 2pm: Annual Trunk Show with all Designers and Awards at Hotel Del Coronado. 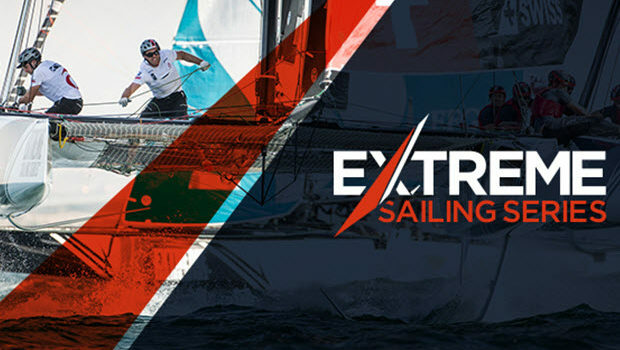 The Extreme Sailing Series™, part of the Ultimate Stadium Racing Championship returns to San Diego this October. Now in its eleventh season, this year’s eight event tour travels through the Middle East, Asia, Europe and the Americas. Witness this international competition in what US News ranks one of the Best Places to Visit in the USA America’s finest city, San Diego. The Harbor Island Race Village has free entry and will provide front-row seats for the adrenaline-fueled action for the public, along with plenty of other entertainment throughout the day. Upgrading to VIP includes the chance to ride on board a GC32 during live racing!!! With three different levels of VIP hospitality available. Limited VIP tickets are available and are based on a first come first serve basis so, with an early sell-out predicted, be sure to book your spot early to avoid disappointment.